The town of Ålesund is the main centre of Art Nouveau in Scandinavia. 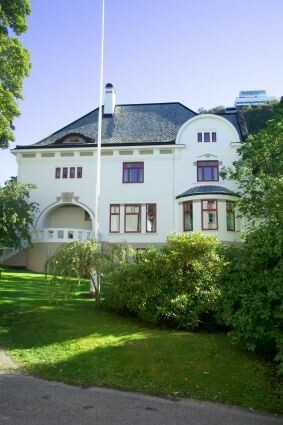 Although the first buildings in Norway's new style were constructed in 1890 in Oslo - then known as Kristiana - Ålesund replaced the capital as the paradigm of this new architecture when the town was completely reconstructed after a fire had razed it to the ground on the night of 23 January 1904. Like other towns on the Atlantic coast, Ålesund prospered during the second half of the 19th century thanks to the industrialisation of its fishing companies, which were based on salt cod exports. This dynamic activity was a key factor in being able to reconstruct the town in only three years. 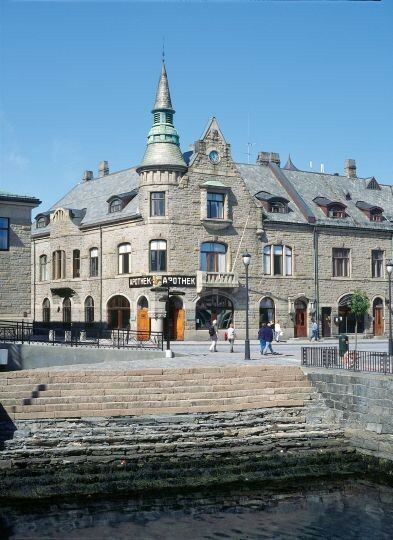 The combination of an urban class that commissioned buildings according to its needs - such as apartment houses with shops, residential villas and industrial warehouses - and a group of 50 young Norwegian architects who had graduated from German and English universities meant that the old wooden fishing town of Ålesund became a symbol of prosperity and modernity for the young Norwegian nation, which had only recently achieved independence from Sweden in 1905. 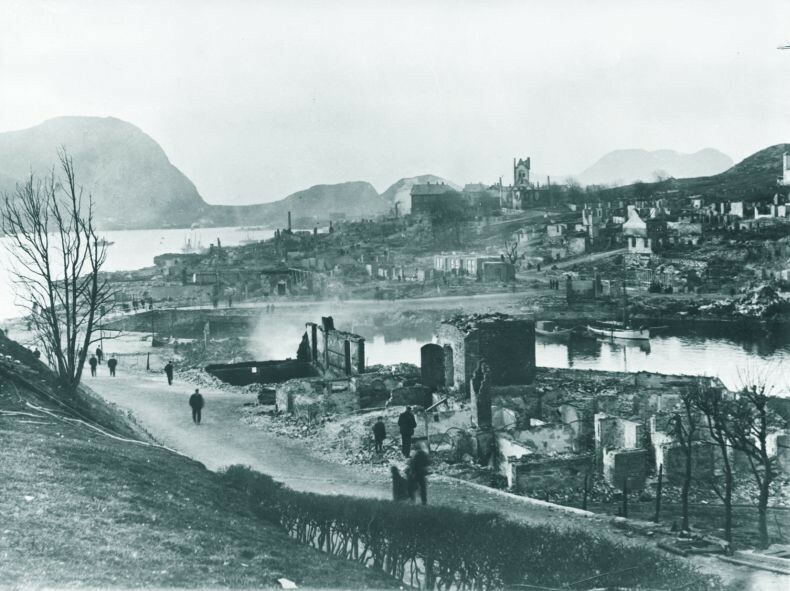 The fire destroyed approximately 900 houses and blurred the town's urban layout. This event gave Ålesund a special character, because the new architecture that was built was limited not only to specific streets or neighbourhoods but to the entire town centre. Three hundred and fifty buildings were constructed between 1904 and 1907 and these belonged to a simple and practical urban plan designed by the engineer Frederik Næsser, who respected the uneven topography of the land by following Camillo Sitte's Viennese model. The architects involved in the town's reconstruction also designed furniture and interiors and enjoyed a certain freedom of expression. The architect responsible for managing the project, Nissen, set only some aesthetic and building criteria in matters such as respecting the project as a whole, lighting conditions, hygiene and density, limiting the height of buildings or the number of fireplaces and the use of stone and brick. The result was a unique combination of unity and variety, a feature of the style known as Ål Stil. It involved unity in a modest construction style but was also rich in linear decoration and contained echoes of Jugendstil and local architectural elements, such as the crested roofs or towers typical of medieval wooden churches known as stavkirken (stave churches). 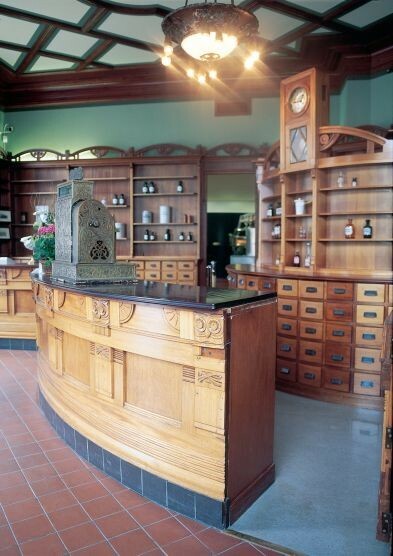 Each architect displayed variety in interpreting this tradition, local materials and the regional iconography of Dragestil, the historicist style that recalled the country's Viking past.